The millions of consumers who have healthcare policies obtained through healthcare exchanges, established under the Affordable Care Act (ACA), can breathe a little easier. These consumers may have watched uneasily as the Republican-led Congress made several attempts to "repeal and replace" the ACA, also known as Obamacare. Critics of both the House-passed bill and the bill considered by the Senate charged it would result in millions of people losing their health insurance. 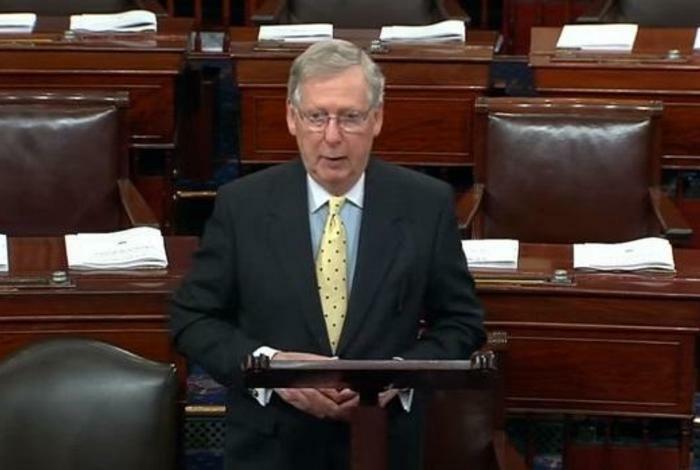 Senate Majority Leader Mitch McConnell (R-Ky.) has announced the Senate will end its attempts to bring its replacement legislation up for a vote. Monday, two additional Republican senators announced they would vote against the bill, dooming its chances of passage. “Regretfully, it is now apparent that the effort to repeal and immediately replace the failure of Obamacare will not be successful," McConnell said in a statement. Instead, McConnell said the Senate will vote to take up the repeal and replace legislation that passed in the House. McConnell noted the Senate approved an identical measure in 2015, but that President Obama vetoed it. A pure repeal, however, would likely undo all the provisions of the current law, which among other things, bars health insurance companies from asking about pre-existing conditions. It would also remove subsidies many consumers receive to help pay health insurance premiums. Maintaining the status quo isn't acceptable either, said David O. Barbe, M.D., president of the American Medical Association. “The health reform debate is by no means over. Congress must begin a collaborative process that produces a bipartisan approach to improve health care in our country," Barbe said in an email to ConsumerAffairs. "The status quo is unacceptable. Near-term action is needed to stabilize the individual/nongroup health insurance marketplace. In the long term, stakeholders and policymakers need to address the unsustainable trends in health care costs while achieving meaningful, affordable coverage for all Americans." “The Medicare Access and CHIP Reauthorization Act and the 21st Century Cures Act are recent examples of what can be accomplished to improve the health of the nation when Congress works on a bipartisan basis with key stakeholder groups," Barbe said. "Success is achieved when patients, physicians and policymakers work together to improve the health of individuals, families and communities." While anything can happen in the political arena, Senate passage of the House bill looks unlikely at this point. While it would probably please conservative senators who opposed the Senate measure because it didn't go far enough, it would likely earn the opposition of a number of moderate Republican senators. 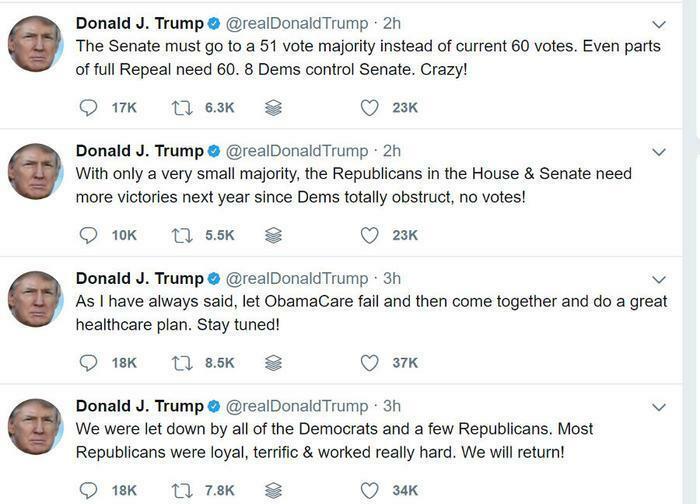 President Trump Tweeted his disappointment, suggesting Congress just let Obamacare fail, then create another health care law. McConnell has suggested there might be another alternative. The GOP leader has hinted that it might be necessary to work with Democrats to reform the current law. Since no Democrats supported either the House or Senate repeal and replace bills, a few Democratic votes might hold the keys to passage. To win Democratic support, however, the legislation would probably be far different than either of the GOP-crafted bills considered in the House and Senate.